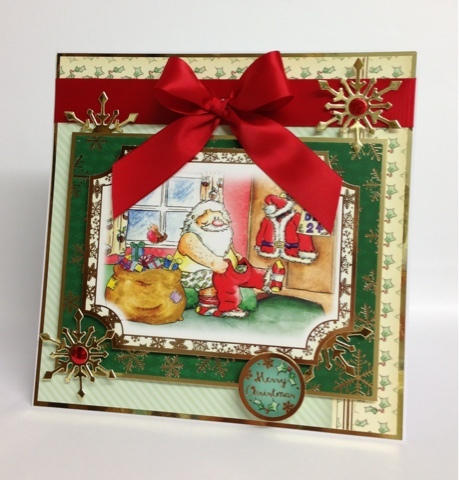 This 8x8 square card has been made using HD brand new "Santa Pants" collection. 25mm red satin ribbon- American crafts. Red mirri card candi - craftwork cards.